Manufacturer of a wide range of products which include electrical rotary actuator, electrical linear actuators, pneumatic rotary actuators, dissolved oxygen sensing systems, pid process controller and touchscreen paperless recorder. Electrical linear actuators of the LME... / RSD ... series are the optimal solution for the operation of final control elements with preferably linear movement. The internal rotary / linear conversion is done virtually wear-free and the actuator thrust rod transfers the force directly to the final control element. Electrical linear actuators of the RSDE… series are designed for the use in hazardous areas. They are controlled via standard electronic units, loaded with specific data for the explosion-proof actuators. 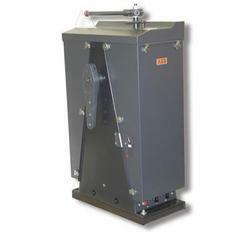 These electronic units for field or rack installation are installed in the non-hazardous area. The control signals provide modulating or on/off control power to position devices through mechanical linkage or by direct coupling. 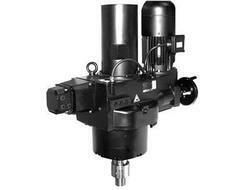 Types UP1 and UP2 actuators include a double-acting rotary vane power unit. Types UP3, UP4, UP5, UP6 and UP7 actuators include a double-acting cylinder with a motion conversion mechanism to convert linear to rotary motion. 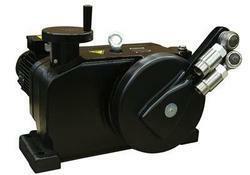 Seven actuator sizes available in ratings from 122 to 7320 Newton meter (90 to 5400 foot-pounds). 12745 Newton meter (9400 foot-pounds) with Master-slave solution. Case mount design for convenient installation and connect to driven device by standard linkage components. Options available for fail-safe or fail-in-place on loss of control input and air supply. Use in ambient temperatures up to 85 ºC (185 ºF) depending on control input. Adjusts easily with use of standard positioner characteristics: linear, square and square root relationship or custom-characteristics. Complete range of control signal options with AV conventional positioners or EDP300 and TZIDC digital positioner with HART© communications. Auto / Manual function with quick and smooth transfer for manual override control. Options for IP66 (NEMA 4X) enclosure, pneumatic or electric position transmitter, alarm / travel switches, air failure lock option and heated enclosures available. Comprising floating ball and cartridge flow-through systems, analyzers for high-purity water systems and optical sensing technology. 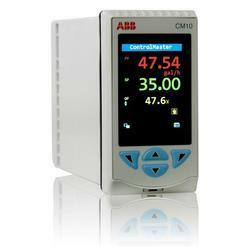 Accurate and reliable measurement of dissolved oxygen in high purity water. The Navigator 500 dissolved oxygen analyzer provides continuous monitoring and control of dissolved oxygen levels in steam-raising and desalination plants and semiconductor water treatment. Featuring a separate sensor section and transmitter, the Navigator 500 Dissolved Oxygen gives users the option of adding up to four wet-sections to one transmitter, enabling measurement of samples from different measuring points. This not only offers an economic and compact solution, but allows operators to mix and match other parameters within the Navigator 500 range to reduce installation footprint and cost. True wall mountable design enables installation and commissioning in a fraction of the time needed for adapting panel mount units. 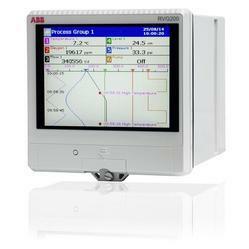 ABB’s field-mount controllers are ideal for locations where a panel cannot be installed, either due to lack of space or where costs are prohibitive. A secure, easy-to-use, touchscreen, paperless recorder featuring swipe gesture control. The RVG200 recorder takes the established operating and security benefits of the ScreenMaster range one step further. Features include touchscreen ‘swipe’ operation, front and rear USB ports for connecting peripheral devices (including a barcode scanner and keyboard) and Ethernet and RS485 communications. Up to 24 process signals can be connected to the RVG200’s analog inputs or transferred to it via digital communications. As with all devices in the ScreenMaster paperless recorder range, the RVG200 features extensive security measures to protect against un-authorized tampering with process data, compliant with FDA 21 CFR Part 11 requirements. Standard security features include the ability to configure and allocate multiple users with individual password and access rights. All recorded data is also securely stored by the RVG200’s 256 Mb of internal flash memory, that can be expanded to 2 GB if required.